Editor’s note: This post originally appears on the UN Foundation’s Global Connections blog. You can view it here. Even when words fail, action can and must still be taken. After nearly seven years of protracted and violent conflict, the devastating humanitarian crisis continues to unfold in Syria. In the besieged Syrian enclave of eastern Ghouta, which the United Nations Secretary-General has described as “hell on Earth,” reports estimate over 300 civilians have been killed since the beginning of the month alone, prompting the UN Children’s Fund (UNICEF) to issue a poignant statement on the conflict – a statement with blank spaces, because there are no words that will do justice for those suffering. However, even when words fail, action can and must still be taken – a message conveyed by Under-Secretary-General for Humanitarian Affairs Mark Lowcock to the UN Security Council this week, calling for a sustained cessation of hostilities to enable the delivery of humanitarian aid. UN agencies are tirelessly working in various capacities to address the overwhelming need, including the 13 million people who require humanitarian assistance. Yet resources are not keeping pace with the needs, and more help is needed. 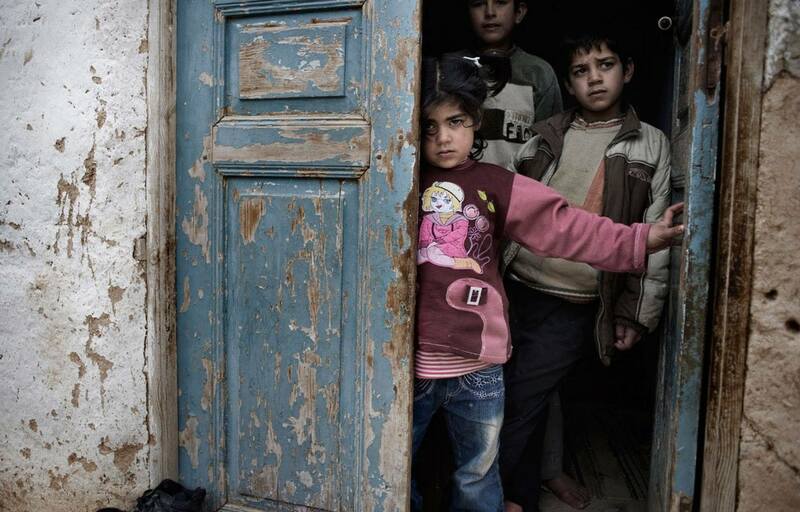 Here are two steps you can take right now to support Syrians devastated by the conflict. Raise your voice. Make sure Syrians in need are not forgotten by raising your voice and letting your friends, families, and leaders know that you care about peace and the protection of civilians. 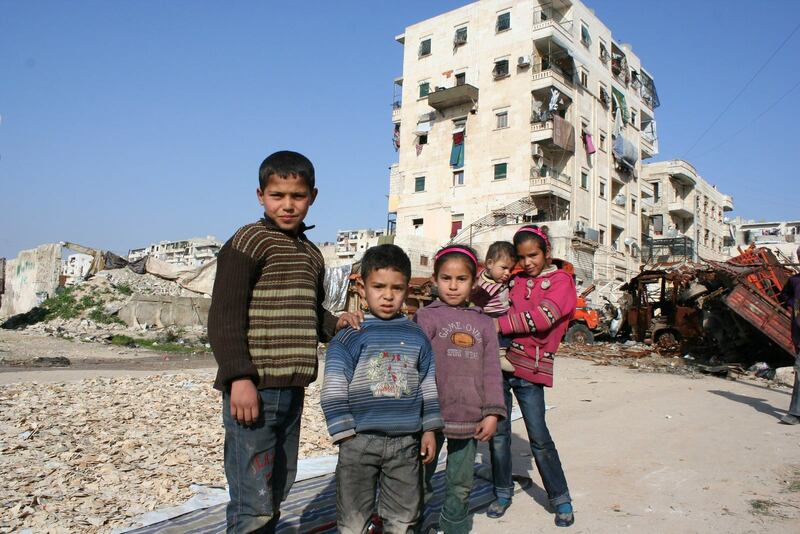 Support the humanitarian response by donating to the UN’s Syria Humanitarian Fund. Below are some of the ways that the UN is addressing the humanitarian crisis in Syria. The UN Office for the Coordination of Humanitarian Affairs (OCHA) supports humanitarian assistance throughout Syria, including the deployment of convoys to deliver food and medical supplies. However, hard-to-reach and besieged communities are becomingly increasingly inaccessible to lifesaving support. With limitations on aid deliveries and increasing risks to NGO and health workers, OCHA faces complex challenges to providing vitally needed aid. 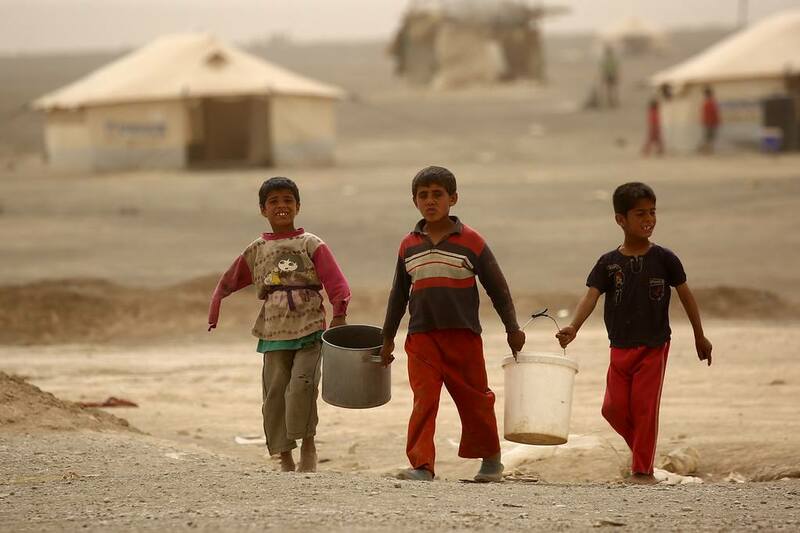 Read more on the severity of needs in Syria and how OCHA is working to address these. UNICEF provides vital assistance to the millions of Syrian children who are facing deprivation, violence, and exploitation. In 2017, UNICEF supported national systems in Syria and in Syrian refugee host countries to provide over 773,000 children with psychosocial support and to help over 3.2 million children enroll in formal education. Additionally, with UNICEF support, more than 8.9 million children were vaccinated against polio in Syria, Jordan, Iraq, and Egypt. Yet, the need for increased support for these children is urgent. Read about UNICEF’s 2018 humanitarian strategy for Syria. The UN Refugee Agency (UNHCR) works to provide humanitarian aid to the more than 5 million people who have fled the violence in Syria since 2011. In Jordan alone, over 655,000 women and children live in exile; of these, an estimated 93% live below the poverty line. UNHCR’s assistance ranges from providing shelter kits and clothing to protection services and psychosocial support. Additionally, UNHCR works to assist the 6.1 million internally displaced people still within Syria, including nearly 3 million people located in hard-to-reach and besieged areas. Read these stories to learn more about Syrian refugees and their experiences. The World Health Organization (WHO) delivers major shipments of medicines and supplies, including to the more than 93,000 people in the besieged Deir-ez-Zor governorate, where over 40% of health centers were shut down in 2017 due to the conflict. The most recent WHO shipment included 14 tons of emergency medical supplies. This is just one of the many examples of the vital work WHO is undertaking to provide humanitarian assistance in Syria, including airlifting supplies to internally displaced persons, ensuring lifesaving treatment for cancer patients, and supporting immunization programs for children. Read more stories of WHO’s work in Syria here. The UN Population Fund (UNFPA) works to provide sexual and reproductive health and gender-based violence services, and advocates for human rights and gender equality. Within Syria, UNFPA supports 55 field reproductive health clinics and mobile teams, 912 health facilities, and 26 women’s safe spaces. Additionally, it leads trainings for youth facilitators, volunteers, and health personnel on reproductive health kits and gender-based violence case management. The UN Development Programme (UNDP) supports socioeconomic recovery in Syria through workshops and trainings that aim to provide sustainable livelihood resources for all Syrians. Additionally, UNDP coordinates projects for basic infrastructure and service rehabilitation, including the provision of water, electricity, and sanitation. UNDP works with civil society and private sector partners to provide aid to the most vulnerable, such as internally displaced persons, women and children. Learn more about UNDP’s work in Syria. Each month, the World Food Programme (WFP) delivers emergency food assistance to all 14 governates within Syria, dependent on access. In December of 2017 alone, WFP provided food assistance to 3.1 million people. While this is a substantial amount, many more still desperately need assistance. 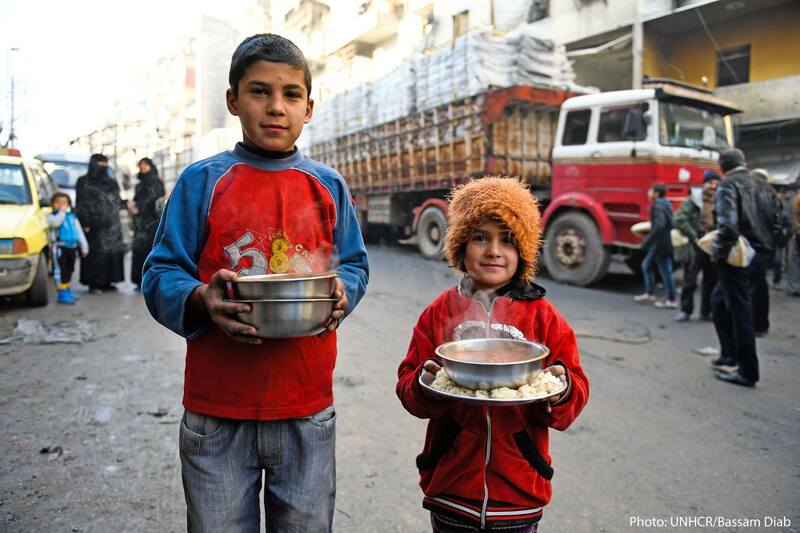 WFP reports from January 2018 show 6.5 million people in Syria are facing food insecurity, figures which have more than doubled in the last year. In addition to food assistance, WFP supports programs that address nutrition needs and education concerns, as well creating employment and training opportunities to improve resilience and livelihoods for those who are most vulnerable. Learn more about WFP’s work. Learn: Read up on one of the UN agencies above to learn how they are responding the Syrian conflict and how you can lend your support. Donate: The work of these critical UN Agencies can’t be done without your support. Find your favorite from the list above and consider supporting them by making a donation. In addition to the UN, here are a few of our other partners and organizations working to address the conflict: White Helmets, World Vision and Save the Children. Start a conversation: We must continue to raise awareness of plight of families in Syria. Share this article on your social channels to start a conversation with your family and friends and encourage them to take action. Molly Matney works as an Executive Assistant at the United Nations Foundation’s New York office. She holds an M.Phil. degree in International Peace Studies from Trinity College Dublin, where she undertook research related to gender and peacebuilding in West Africa. She is also a former Rotary Peace Scholar and Humanity in Action Senior Fellow.